wicca.org.uk | "Harm none and do thy will"
"Harm none and do thy will"
The purpose of this site is to assist those who wish to adopt the Wiccan tradition. Wicca, as it is practiced through this site and widely throughout the UK, is the native traditional spiritual path of Britain. Wicca is often carried out, and many feel best practiced, in small groups termed covens. Some of these offer training to beginners and other seekers. Wicca is, however, a permissive rather than prescriptive tradition. It teaches that individuals are enlightened by their own interpretations of the tradition rather than by following a long set of rules. There is a single rule,the Wiccan Rede, which teaches ‘harm none and do thy will’. There is an avoidance of hierarchy as all rituals are based on the circle as the central feature. The forests of Britain and the houses of members are used as the temples of tradition, and the mythology of Britain based on the round table is its sacred literature. We use the rituals inspired by Traditional Witchcraft and are faithful to the memory of Robert Cochrane. We also provide links in this site to native British mythology and literary traditions and their interpretation. This includes Brythonic literature such as the Mabinogion. We also provide an interpretation of the cycle of the year. e-mail. I’ve got some recommendations for your blog you might be interested in hearing. Either way, great website and I look forward to seeing it grow over time. I am new to witchcraft and wants to know of there are good teachers who can teach me witchcraft. I would be greatful if you could guide me. I would love to have some details about it. You should join the London Wicca Meetup Group. I wish to join Wicca community, I’m a very beginning one, can you help me? We can help – you should join the London Wicca Meetup Group. I need help, I am doing my school project on wicca and I need more information, Please help me, Intrested on both sides meaning why people think it’s bad and why people think it’s good ? Your sincerely Weronika a wchs student. Thank you. Hi Weronika – I am afraid we cannot help under21s. I have read so much about wiccan church/school and i will like to exploit the nature its,pleas how do i have your contact in Nigeria? We are a UK based group and have no resources or interest in operating outside the UK. Hi Kate – you should join the London Wicca Meetup Group. This is a response to a request for information from one of the contact points connected to the Wiccan Federation or one of its associated groups. You asked about joining a coven. The Wiccan Federation is dedicated to facilitating access to Wicca to all seekers over the age of 21. You have not stated which area you are in. If you wish to be trained by our group we have a training course called Seven Moons which allows for training remotely. This trains seekers over a six month period. It is connected with one of our covens in London and allows an individual to train with the support of this coven, and attend its new moon meetings if they can get to the venue in London. If you would like to join this course please let us know. The course is free if done by e-mail or you can join the course by post in which case charges apply as we have to print and post the material. Please contact cochranefaithful@yahoo.co.uk if you wish to join the course. This is a response to a request for information from one of the contact points connected to the Wiccan Federation or one of its associated groups. You asked about meeting like minded people. The Wiccan Federation is dedicated to facilitating this. This is a response to a request for information from one of the contact points connected to the Wiccan Federation or one of its associated groups. You asked about the situation in Exeter. We don’t currently have a coven in Devon or Cornwall although we are keen to start one in this area. We do, however, have a training course called Seven Moons which allows for training remotely. This trains seekers in Wicca over a six month period. It is connected with one of our covens in London and allows an individual to train with the support of this coven, and attend its new moon meetings if they are in London. If you would like to join this course please let me know. The course is free if done by e-mail or you can join the course by post in which case charges apply as we have to print and post the material. Please contact cochranefaithful@yahoo.co.uk if you wish to join the course. Apologises in advance if i word any of this wrong and offend anyone. I have been interested in Wicca for as long as I can remember but growing up any mention of it was quickly dismissed or resulted in punishment (family are old traditional Irish Catholics). At the ripe old age of 30 I now feel able to pursue and learn more of my interest and if it would be a good life choice for me. I live in northern Ireland and have no idea where to begin, if there are groups anywhere and would appreciate a nudge in the right direction as there really is only so much I can learn from generic Wicca and wichcraft books. This is a response to a request for information from one of the contact points connected to the Wiccan Federation or one of its associated groups. You asked about the situation in London. We have a strong network of covens operating in a number of different parts of London. These are coordinated by the London Wicca Meetup Group so you should join this. If you wish to be trained then this is straightforward in London. We also have a training course called Seven Moons which allows for training remotely. This trains seekers in Wicca over a six month period. It is connected with one of our covens in London and allows an individual to train with the support of this coven, and attend its new moon meetings if they can get to the venue in London. If you would like to join this course please let us know. The course is free if done by e-mail or you can join the course by post in which case charges apply as we have to print and post the material. Please contact cochranefaithful@yahoo.co.uk if you wish to join the course. Hi do u have any covens in stoke on trent? 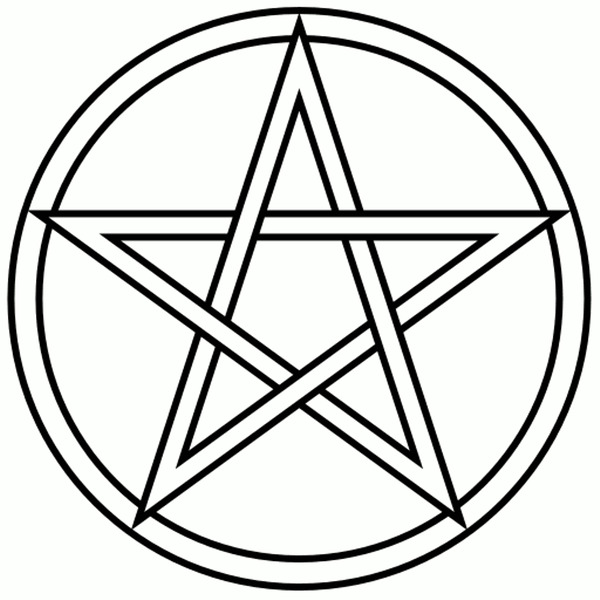 I am intrested in learning the art and pratice of wicca… can u pratice wicca alone or does it nwed to b done in a group? If you wish to have further info please join the Wiccan Federation. We are coordinating a network of regional groups and sending out group e-mails from there now. Hi there, I am wiccan but have only been so for about a year…I would like to be in contact with others however London is such a long way from me…..is there anyone from the north east England here who are part of a coven or solitaries I can connect with via email…. Hi Gordon. There is some interest in the North East, but we don’t have a group there. If you are willing to act as a contact point it would help coordinate activity. We get a lot of interest from the North East. If you could help us coordinate in this area it would be helpful. We will support you from London. Let us know what you can do. We are building up our regional groups around the Wiccan Federation at the website below. Hi! I’m not Wiccan but I need guidance. I don’t follow rituals and yet there are unexplainable things that had happened and I want to know if I am a natural witch, I have seen the same things happening to my little girl. Just recently moved to London and we are new in this country. Thank you and blessings to all! Good to hear from you. Please join the group below. If you can get to one of our meetings we will be able to help you. Merlin=Myrddin Wynn Emrys.Myrddin=first name,Wynn=family name & Emrys=his druid name.Merlin was known as a sorcerer,warlock,wizard or magician & a druid above all.Arthur Pendragon=Arthyr Penn Ddraig Goch(Y Ddraig Goch=A Red Dragon=symbol of Cymru/Wales). I must correct myself on my previous entry to be more accurate for both names in question in original Welsh are slightly different.Merlin’s name is Myrddin Wyn Emrys(Wyn=White) & Arthur’s name is Arthwys Pen Ddraig Goch or “A Red Dragon’s Head”(Pen=Head).